Erin, CTE/FTS, teaches Psychology, CCFE, Nutrition, Ethnic Foods, Health, and study hall. This is her second year teaching here, and she’s been with the school district since 2007. She’s been married for 26 years and has a 16 year old son with her husband Craig. She attended Western Washington University after graduating from Meridian High School. She likes to jog, watch movies, and hang out with her family, and is also very passionate about living a life free of animal cruelty. 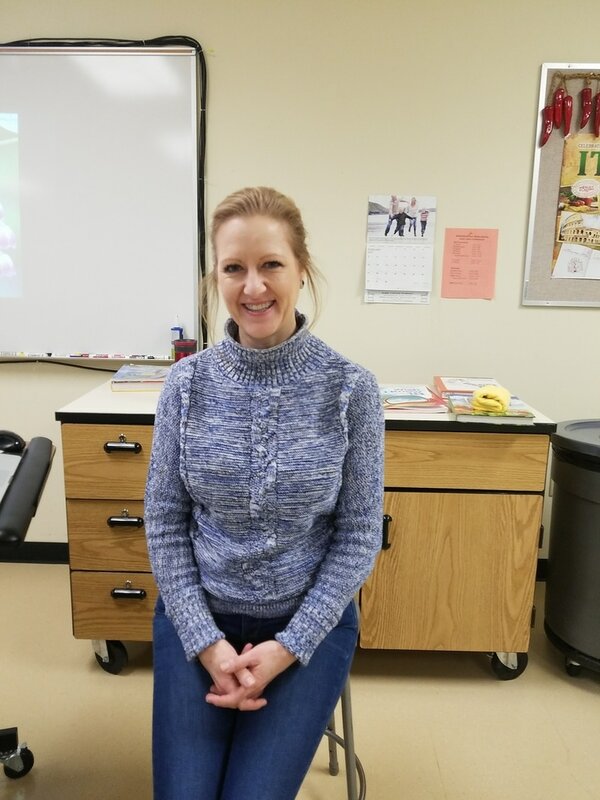 Erin Tesdahl, CTE/FTS, teaches Psychology, CCFE, Nutrition, Ethnic Foods, Health, and study hall.